Handcrafted Certificates. DIY Scroll Saw Accessory Video Tutorial. 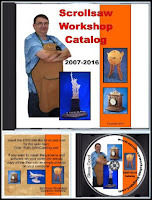 This PDF has a Handcrafted Certificate for both a male and female scroll sawyers. 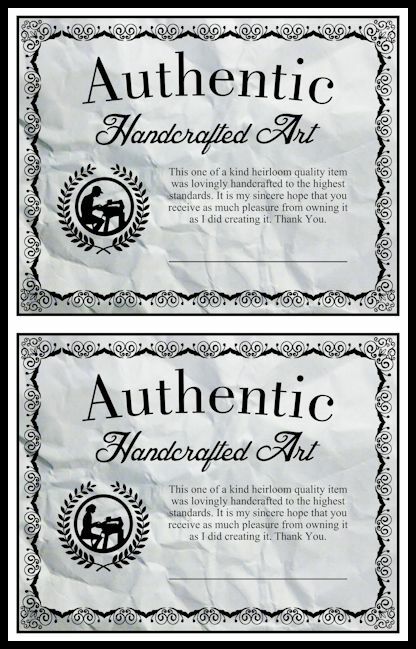 When you sell your scroll work you should always include a certificate and business card. Treat your work as the handcrafted art it is. Your customers will appreciate the care you show for the piece of art. These certificates are 5.75" X 4.5" and are designed in black and white. I wanted them to be B/W so printing would be cheaper but still look nice. These look fine printed on regular copy paper. There is a signature line for you to sign your work. The certificates are two up on a page with a male and female page. Remember you only have to print the page you need from a PDF. No need to print the entire PDF to get what you need. In the Tuesday January 24, 2017 post I started a secret word contest. There was a video posted and somewhere in that video a secret word was flashed on the screen. I want to show the rules again so you have one last chance to enter. Here is a link to that video. The deadline is this Sunday night. You can only enter once. Multiple entries will be deleted. You have to be in the 48 contiguous United States to be eligible. 1. Watch the video and note the secret word flashed on the screen. 2. Send an email to giveaway@stevedgood.com with the secret word in the subject of the email. 3. Include you first and last name in the body of the email. 5. Only one entry per person accepted. 6. I will do a random drawing from the entries Monday 1/30/2017. two scroll saw blanks 1/4" X 12" X 16" of from your choice of cherry, cedar, birds eye maple, curly maple or walnut. If you do not follow the rules your entry will be rejected. Video: Jet and Excalibur DIY accessory. In the following video I show an upgrade I did that works on the Jet and Excalibur scroll saws. It's a short video and not too expensive to accomplish. I am installing a digital angle gauge. 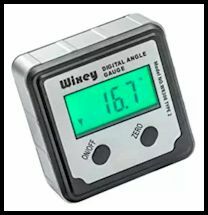 Affiliate Link: There are two current version of the Wixey digital angle gauge. The WR300 is $30.99 and the WR365 is $39.99 on Amazon. Click this link to see the angle gauges on Amazon. 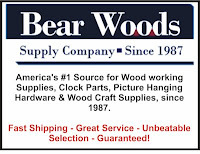 Three days left to enter this month Bear Woods sponsored $75 gift certificate giveaway. 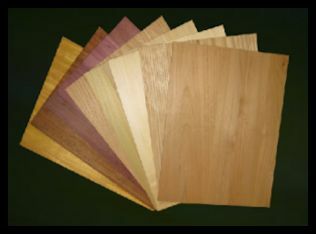 Heritage Wood Specialties. Home of the beautiful scroll saw ready planks. These large planks are color matched and sanded to thickness. Many species available. Check out what they have to offer.